Safflower seed is a small, white conical seed, similar to black-oil sunflower seed, that is high in protein and fat. If squirrels, pigeons, blackbirds, doves and grackles crowd your feeder and chase away the birds you want to see, you may want to try the Safflower Seed Solution. Blackbirds, grackles and squirrels typically find the seed unsatisfying and bitter. We say typically, but not always. But it wouldn't hurt to try, especially as an alternative to regular sunflower seeds. You can use it in any sunflower seed feeder or scatter it on the ground to attract birds that normally don't like to perch on feeders such as cardinals. You can make your own safflower seed cylinders at home by simply mixing bird seed with gelatin. Here is a bird seed cylinder recipe on youtube. If you want to switch to feeding your backyard birds exclusively safflower seeds to exclude squirrels, blackbirds, and other pest birds, do so gradually. If your birds are used to feeding on a wild bird seed mix or black oil sunflower seeds and you suddenly provide them with only safflower seeds, they may revolt. Well, not really, but they may not accept the seed as readily and start visiting other feeders in the neighborhood instead of yours. Gradually add safflower seed to what you are currently feeding your birds so they can get used to it and accept the change. 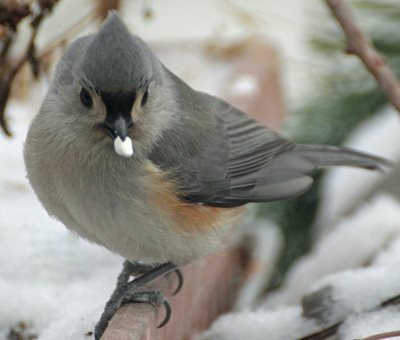 You can offer safflower seeds in hopper, tube, or platform feeders. 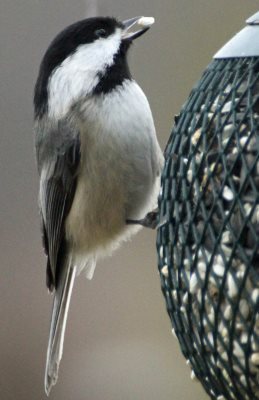 Many backyard birders like using the wire mesh style feeders (as in the video below) that are for sunflower seeds too. Some interesting facts about safflower seed is that it is a very old crop that dates back to King Tut where evidence of safflower was found in his tomb. 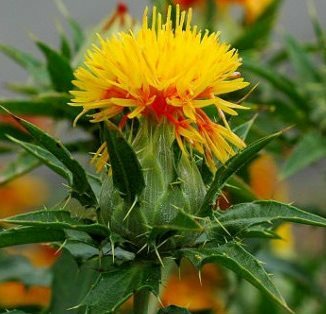 Other names for Safflower include Sallflower, Beni, Benibana, Chimichanga, American Saffron, Alazor, Fake Saffron, Zaffer, Zafran or by its scientific name, Carthamus tinctorius.